Sonoma County, California is making the nation’s largest single government purchase of electric vehicles. This is just the beginning of a trend that seeks to save taxpayers from the high cost of gasoline- powered vehicles. 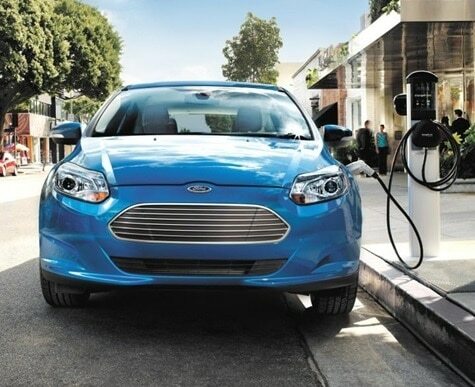 Over a five-year period, the County’s purchase of 31 all-electric Ford Focus plug-ins actually saves over $500,000 in fuel costs. The two-million pounds of carbon dioxide emissions saved over the same period will also help the county achieve its climate protection goals. The cars can go almost 80 miles on a four-hour charge. This is perfect for getting around the County. This purchase was made possible by a federal grant that paid the difference between the gas-driven model and the all-electric model. It also provided funds for the installation of five new charging stations. The County already has a large solar array allowing its existing electric vehicles to be charged solely by the sun. The President of the United States has said that we cannot burn all the oil and gas we have discovered still remaining in the ground without exceeding a two degree Celsius increase in global temperature. The preponderance of scientists say any increase above two degrees would cause a runaway greenhouse effect. Then why do we continue to drill it and burn it like there was literally no tomorrow? It’s cheaper! Period. Ultimately the world won’t change to zero emission power until it’s cheaper than burning carbon. Thanks to initial government subsidies in the form of tax breaks, both wind and solar power were able to increase sales to a level that provided efficiencies of scale making them cheaper and more efficient than coal to produce electricity. Now wind and solar compete directly and are the preferred ways to produce electricity going forward. Imagine the positive impact on countries like China who are dependent on coal for power! Imagine the benefits to the planet if the soon-to-be world’s largest economy scraps greenhouse-causing fuels for sustainable and renewable power sources! Now there is a viable alternative for all of us. Efficiencies of scale will also bring down the cost of electric cars and increase the capacity of their batteries and range. But to do this there needs to be large purchases by big public and private corporations. This will help manufacturers discover savings only purchases on a large scale can make possible. Elon Musk of Tesla electric cars recently announced that he is going to share his technology with several other car makers because he wants them to move ahead in the electric car space. Their progress (rather than competing with his vehicles) will increase the range, infrastructure, standardization, acceptability, and demand for all electric vehicles. He’s also betting on the resultant efficiencies of scale. We applaud this far-sighted move. We think the future looks bright for electric vehicles as efficiencies of scale lead to new breakthroughs and more affordability. All government agencies would benefit by following Sonoma County’s lead and replacing their aging gas fleets with clean electric vehicles. Their large purchases can be the catalyst that helps the industry make gas- powered vehicles obsolete. We as tax payers should demand it. Elected officials should include it in their platforms. It’s a win-win all the way around. We can save some money on taxes, reduce our cost of transportation, and save the environment all at the same time! We are proud of Sonoma County for betting on the future and acting on it in the present! Bravo!